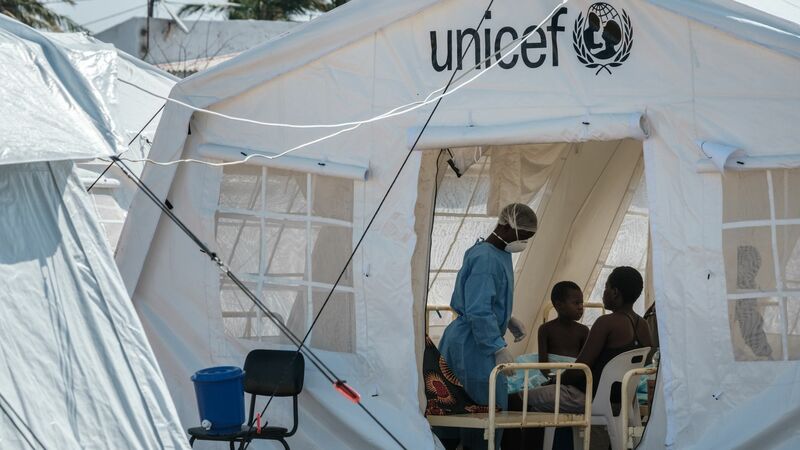 Cholera has returned in the aftermath of the deadly Cyclone Idai that devastated large swaths of southern Africa on March 15. Why it matters: Catastrophic events have the potential to reverse health, education and income gains in countries like Mozambique and Malawi, which are among the poorest in the world. Approximately half the population in both countries live below the official poverty lines, and many lack access to safe water and toilets. Background: If untreated, cholera can be fatal. When clinics and hospitals have been destroyed following natural disasters and people are living in close proximity to each other, early detection and treatment are challenging but critical. What's happening: 1.8 million are need of urgent assistance, with 128,000 living in shelters at 154 sites across Mozambique, Malawi and Zimbabwe. At least 750 people are estimated to have been killed, but that number continues to climb as bodies are discovered. Mozambique was already dealing with floods that had displaced 60,000 people — pushing many into crowded shelters — when the cyclone hit, destroying homes, clinics and schools in its path. In Beira, Mozambique's fourth largest city, the primary water treatment facility was severely damaged by the storm. At least 1,052 people have been infected by cholera, and one person has reportedly died from the disease. Other diseases such as typhoid may also break out. Standing water is a breeding ground for mosquitoes, which transmit malaria. Where it stands: The WHO has requested $13 million for medical supplies and disaster response in areas cut off by flooding. It has shipped 900,000 doses of cholera vaccine to Mozambique, and a vaccination campaign is set to begin in Beira on April 3. USAID has sent a disaster assessment response team and committed $7.3 million to the region. NGOs such as Save the Children and MSF are also actively engaged in fundraising and support, with the latter operating a hospital to treat cholera patients in Mozambique. The bottom line: Though the international donor community has begun responding to the crisis, the specter of cholera death raises further alarm. And with such wide devastation, rebuilding will be a long process. 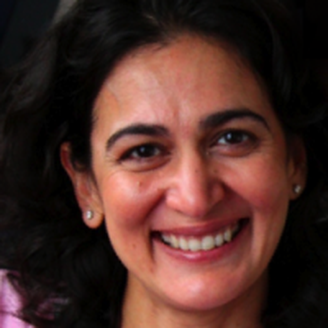 Tanvi Nagpal is the director of the International Development Program at Johns Hopkins School of Advanced International Studies. On Thursday, a woman and her children were found dead after being sequestered in a menstruation hut in Nepal. The death came on the heels of a protest on Jan. 1 in India, where thousands of women created a human wall that stretched 385 miles from the north of Kerala state to its capital in support of equal rights and against gender discrimination. The big picture: Notions of ritual purity are at the heart of Hindu practices that ban women from entering kitchens or temples when they are menstruating. Public health professionals and women’s rights advocates have campaigned against ostracizing women for a long time, but the events in both Nepal and India have brought the discussion into mainstream media again. Background: The Nepalese government has banned the practice of sequestering menstruating women, but the ban has never been strictly enforced. A similar practice was challenged in the Supreme Court in India last month, leading to a decision that allowed all women to enter Sabarimala temple in Kerala. Nepali girls sent away from their homes miss school during these periods of confinement, are often not fed adequately, may not be allowed to bathe and can become sick, as such huts are often poorly built and insulated. Close to a quarter of all adolescent girls drop out of school in India, partly as a result of their inability to manage menstruation. What’s new: In a recent decision by India's Supreme Court, judges commented on the equal rights of men and women to pray at the temple but also maintained that menstruation did not make a woman “impure.” The Kerala government allowed two women to enter the temple under police protection, but that decision led to violent protests that forced the state government to enforce a shutdown to prevent further violence. What to watch: The right-leaning Bharatiya Janata Party threw its weight behind the protestors, prompting public intellectuals to argue that the Court was being undermined by political parties and setting a dangerous precedent for democratic governance and the rule of law. Some have also expressed a concern that that the ruling may become a flashpoint for more violence at Sabarimala, especially around the upcoming national elections in spring 2019. Progress in reducing malnutrition has been slow and uneven, according to the newly released 2018 Global Nutrition Report. Although donors exceeded the $19.6 billion commitment they made in 2013, disbursing $21.8 billion two years ahead of schedule, the report also found that official development assistance is still too low. The big picture: Malnutrition imposes high socioeconomic costs, the majority of which are borne by children, young adults, and women. While the quality of data on both problems and solutions has improved, more investment is needed in programs specific to nutrition, especially in the most challenged countries. Background: Malnutrition, which includes undernutrition and obesity, is responsible for more ill health than any other cause. Undernutrition is the primary cause of around 45% of deaths among children under five, with 20 million underweight newborns every year. Obesity affects 39% of adults, or 2.01 billion people, contributing to an estimated 4 million deaths every year. These problems often coexist — India has the largest number of undernourished children but also more than a million overweight children — but also vary by cause. Africans are the most likely to face multiple forms of malnutrition: stunting (low height for age) in children, anemia among young women, and obesity in adult women. What’s new: A combination of interventions including exclusive breastfeeding and improvements in maternal health and newborn care have led to a decline in stunting among children everywhere except in Africa. Anemia, however, has been rising slowly. Most worrisome is a rise in obesity among people of all ages and income groups, who are eating diets too rich in refined grains and sugar and too poor in fruits, vegetables and whole grains. What’s needed: In 2017, the World Bank estimated that donors, governments and the private sector would need to spend $70 billion to meet four of the World Health Assembly's six nutrition targets. Interventions such as improving nutrition for breastfeeding mothers, food staple fortification, improving newborn feeding practices, and better child nutrition could prevent 65 million stunting cases and 265 million anemia cases, significantly reduce wasting (low weight for age), and increase the number of children being breastfed, with every dollar invested yielding a return between $4 and $35. What to watch: Reasons for cautious optimism include fortified foods that deliver micronutrients, better use and collection of data collection by governments, and new programs that involve young adults.